LKAB 105 Narvik & 125 Sjisjka, Narvik station, 23 July 2015 - 1711. 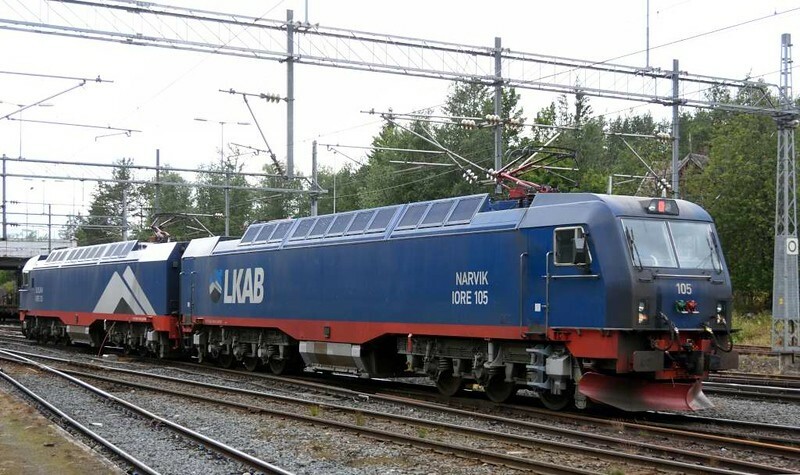 One of the 17 10,800kW class IORE twin locos built by Bombardier 2000 - 2014 for the Luossavaara - Kirunavaara AB (LKAB) iron ore mining company. Norwegian and Swedish railways including the Kiruna - Narvik line are electrified at 15kV 16.7Hz AC.